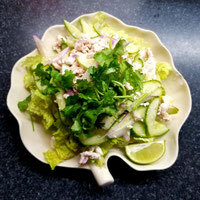 Freshly ground chicken breast marinated in lime juice and subtly seasoned with mint, cilantro, onion and fresh chillies. Served on a bed of fresh greens. Slices of B.B.Q. 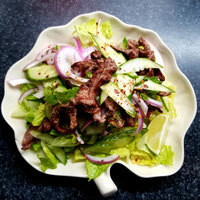 beef marinated in lime juice with cucumbers, red onions, fresh chillies, cilantro and mint.